Prepare to die. There could not have been a better slogan for Dark Souls, as you will die… a lot. Dark Souls is an extremely deep RPG, that takes you from the most beautifully detailed places to the slums of darkness. The game has an evolved sense when it comes to the RPG elements. I am certainly not used to the depth of the story and game itself, not to mention the size of things. 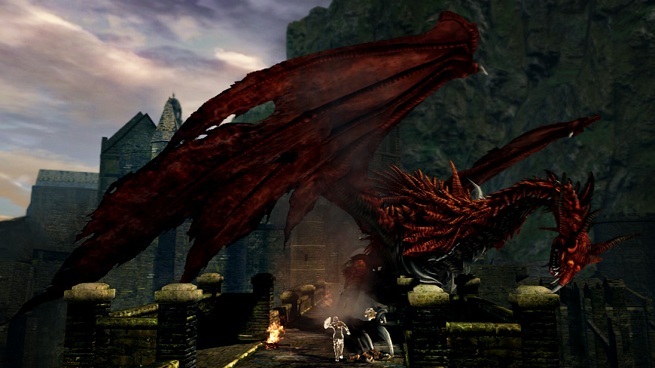 Creatures ten times your size is nothing uncommon in Dark Souls. There’s nothing like turning your head to see a Raven perched above you that is the size of Puff Daddy’s house. The graphics in the game are also pretty damn good. In Dark Souls, there is a unique system in place where there is no pause button. If you use an item, that item (unless replenishable) is gone forever. There is no save option, although the game does auto save quite often, you cannot backtrack to a previous save and play from there with items you once had. Each time you load up the game you start at the last bonfire that you were at, which is as close to a ‘save’ as you are going to get. These bonfires replenish your health as well as items that can give you health, but don’t think it is as simple as that. Every time you rest at a bonfire to replenish your health or use humanity and such, you revive every enemy in the area, just you know, because that’s… cool… But really it is the developers way in once again making the game difficult and bring more death upon you. I say that and it sounds bad, but that is the unique mechanic the game is built on. Your going to die, then die some more, but after a while you begin to really think about things. What you have at your disposal, what can you do differently, how do you conquer this path and lastly should you really be dying this much. The answer is, of course, yes you should be dying this much and you destroy many electronic devices in the process. But between dying so often and how deep the game really goes in all aspects, the bottom line is that the game might not be for you. Instant gratification is something you will never have in Dark Souls as you will have to work hard and think about situations as well as the types of enemies you are facing. You will face huge bosses and creatures in this game. And by huge, I mean so huge that your jaw drops and you ask yourself, ‘I am supposed to fight that’? The word “epic” does not even begin to describe the monstrosities and worlds you will see. 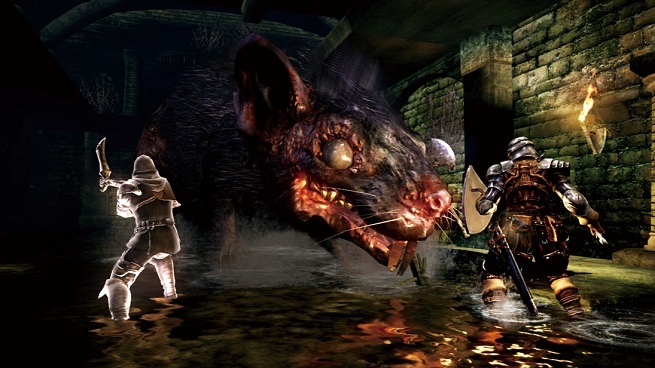 Dark Souls is a game you can get lost in and get so involved in, you will be seeing giant rats in your sleep. Between its creative storyline and the places you visit, you become engulfed in this world. You are plunged deep within its over sized, detailed worlds so much so that you won’t want- or even know how- to stop. The game is not for people who just love jumpinh in a game and getting instant action, but rather people that are very used to RPG games and can stand a 20th attempt at killing a boss. You start to look at those bonfires while low on health only to tell yourself “I’ll pass and keep moving on.” So the whole game is really a deep strategic action-RPG when you get down to it and dying is almost essential to planning the right strategy. There is also an online element in the game including co-op, but having a partner to play with you will not save you from dying so much. Apparently they must have thought of that when creating the game’s slogan. However it is not like it will not help to play in co-op, as obviously, two heads are better than one and cornering enemies is never a bad thing. Players can write messages on the ground which leads me to the one true aspect of the game that I have a real problem with. There is no in-game chat, nor is there party chat allowed on the Xbox 360 which really grinds my gears. The developers did not want anyone’s voice getting in the way of your experience, but luckily you can private chat. Hopefully it won’t be patched, but I mean no offense at all when I say this game is perfect for def people as instead of communicating through voice, the game has an assortment of gestures you can do. Things like pointing forward, up, down, bowing and so on as well as other gestures that can be learned throughout the game. My issue with it is that they have taken the choice out of it, where I think it is a good idea, I also think it should be left up to the player when they want to talk to people while playing a game. 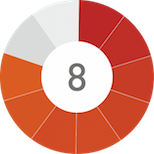 There are nine covenants in the game and you can be a part of each one of them. Dark Souls is so deep that these covenants almost act as separate games in themselves, and your experience will differ depending on who you talk to and many other things. I would need a near month with the game just to learn the ins and outs of all these aspects. With the game having classes, armor/weapon types to choose from and customize, Dark Souls goes far and beyond any RPG you have ever played. If you love exploring areas for hours and finding secret areas even if just to have found a small item in a world of many, you will enjoy the game… after you have come back from dying. The Covenants themselves each have there own ranks that you unlock along with plenty of other things that you could delve into for hours at end. The multiplayer aspect brings even more to the game, as you can literally invade another persons game, or someone can invade yours. You could very well be fighting an enemy, not realizing that it is another player right away. 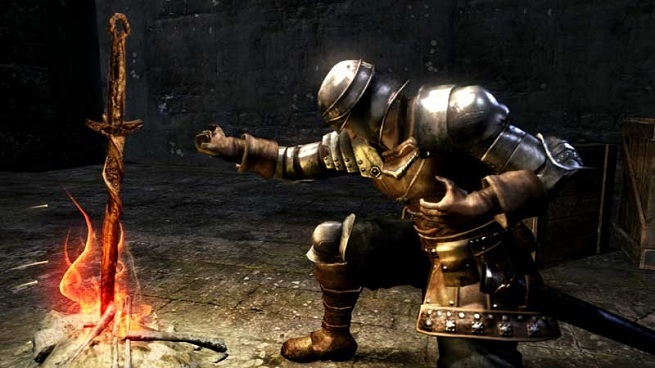 As the game is the successor to Demon’s Souls, the developers have made sure that the invasion of another player will not entirely halt your game progression, with there being heavy penalties that apply to invading another persons game. Dark Souls also works the other way around too with there being a number of ways to help other players other than just playing two player co-op. As I mentioned before, players that have fallen before you can write messages on the ground to help you out (or give you a helpful hint, hoping players are mature enough to handle this small aspect), in the hollow state you can reclaim humanity by entering another players game as a ‘phantom’ to help them. You can see other players shadows occasionally and while playing I noticed a number of things that quite frankly remain mysterious to me still. The graphics of the game did impress me but it still must be difficult creating a creature ten times your size and have it look stunning Much work was put into Dark Souls and the detail of the enemies, factions, items as the list goes on. There is no online or offline mode in the game either, but more of an integration to bring the community together whether it is simply seeing a remanent of another players action to summoning another player for help. The game is also not the type of RPG where the wizard wins as the developers have gone through much effort to make sure that using spells and magic won’t get you any easy way out of things. If you are going to buy an RPG, I would have to suggest Dark Souls over any other true RPG. The game is more about depth than complexity which is the route I think a lot of other RPGs take. Get past the constant death aspect of the game and come to understand it more and you will find one of the most unique, deep RPGs ever made. Extremely deep game. Huge creatures and deep exploration. You die... A LOT! The game is not for the impatient kind of gamer. Much time is needed to truly experience what the game has to offer. An RPG like never before where death is imminent and strategy is key. Dark Souls brings many unique aspects to the table that no other game has before, making somewhat of its own legacy or genre.